SSC Final Result of Sub-Inspectors in Delhi Police, CAPFs and Assistant Sub-Inspectors in CISF Examination, 2016. 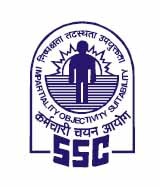 Staff Selection Commission (SSC) has published Final Result of Sub-Inspectors in Delhi Police, CAPFs and Assistant Sub-Inspectors in CISF Examination, 2016. Check below for more details.